It’s unthinkable in today’s era of summer blockbusters that one of the most beloved and iconic action films of our childhood was an indie flick. 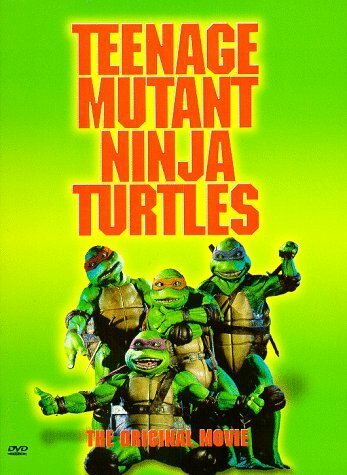 Looking back, I’m a bit surprised that Teenage Mutant Ninja Turtles (1990) got made at all. To understand why, we have to go back to the fearsome foursome’s origins in 1984. Kevin Eastman and Peter Laird created the Ninja Turtles as a joke. They set out to parody popular ‘80s comics like Cerebus, The New Mutants, Ronin, and Daredevil, all of which featured either mutants, anthropomorphized animals, or ninjas. Eastman and Laird formed their own production company, Mirage Studios, supposedly using money from a tax refund and a loan from Eastman’s uncle, and published the first issue of Teenage Mutant Ninja Turtles in May of 1984. It was an instant hit. What started as a gag soon turned into an epic tale of good versus evil, albeit with the bizarre backdrop of mutants battling aliens and ninjas for control of the New York underworld. Eastman and Laird, courted by toy companies, realized that they had more than just an off-beat indie comic on their hands. The merchandising opportunities for the Turtles were obvious, leading to a line of successful action figures and a cartoon series which started airing in 1987. The cartoon, in an attempt to appeal to kids, took a much more light-hearted tone than the original comics, and differentiated the Turtles with different-colored eye masks (they had all worn red masks in the original comics). With wildly successful comics, toys, and a cartoon under their belts, the only horizon left to conquer was feature film. Yet despite the popularity of the characters, major studios like Paramount and Warner Brothers passed on the project, possibly fearing another franchise flop like to Masters of the Universe (1987). Finally, independant producer New Line Cinemas greenlit the project. The movie was, of course, a huge hit. Despite lukewarm reactions from critics like Roger Ebert, Teenage Mutant Ninja Turtles was one of the highest-grossing films of 1990. A franchise that started as a goofy jab at popular comics had become a major success in its own right. To me it seems crazy that a comic about anthropomorphized turtles who fight with ninja weapons could end up having such broad appeal — but there it is. Now the Turtles are about as mainstream as it gets. The Nickelodeon cartoon show has been renewed for a fourth season. Michael Bay’s movie adaptation made an ungodly amount of money at the box office, despite almost universally negative critical reviews. The franchise is a big, green juggernaut, and Eastman and Laird are filthy rich. But for me, the 1990 live action film will always be the pinnacle of Turtle-dom. The original comics were too cheeky. The first cartoon incarnation was too silly. Later cartoons were too fantastic and sci-fi. The second movie was too campy. The Michael Bay movie was too commercial. Only one adaptation has managed to strike a perfect balance of comedy, action, drama, and realism. Somehow a movie about anthropomorphic, reptilian ninjas feels, in a strange way, believable. Maybe it’s because it’s an indie movie. They didn’t have the budget for wild special effects. There’s no utrom, or Krang, or Technodrome. The Foot Clan is just a well-organized street gang. The Turtles don’t bomb around town in a souped-up van. They’re just a team of vigilantes who beat up street gangs. Donatello doesn’t invent wacky gadgets. He just uses big words and works on an old truck. In a modern action movie, we might see the hero violate the laws of physics left and right or survive blows that would certainly kill a normal human. But in the 1990 film, Raphael is in a coma for weeks after taking a beating and falling through a skylight. A modern action fantasy movie would rely heavily on computer graphics, shaky cam, and over the top visuals. The action scenes in the original film are just actors in rubber suits beating on each other in highly choreographed shots. The scenes at the farmhouse with April’s voiceover narration highlight how the Turtles behave in day-to-day life, portraying them as very emotional and vulnerable creatures. The Turtles aren’t superhuman. They’re actually more human than most action heroes I could name. In the movie’s climax, when the Turtles confront the Shredder on a rooftop, the fight lasts all of five minutes. After a brief struggle, the Turtles seem beaten, but Splinter shows up at the last moment to save them. Shredder charges, Splinter flips him off the building, end of fight scene. It’s short and sweet, without drawn-out acrobatics or busy CGI effects. The real blows in that scene are emotional ones, as Splinter calmly explains to Shredder how his death will be without honor. The 1990 film isn’t the highest-grossing independent film of all time, but it’s certainly an amazing success given the subject matter and the era in which it came out. So many unexpected factors have to fall into place for the movie to exist. Eastman and Laird have to come up with the out-there idea in the first place. The comic has to find an audience and funding in the wild days of the ‘80s comics industry. The 1987 cartoon show has to become an inexplicable success with kids. And somehow, adequate funding, a solid script, fine actors, great cinematography, captivating action, and amazing costumes have to all come together at the right time. Teenage Mutant Ninja Turtles could be the only entry in the franchise, and it’d still be a damn good movie. I love all things Ninja Turtles, but the 1990 movie will always have a special place in my heart.